Recognizing and rewarding excellence for pool and spa service professionals. 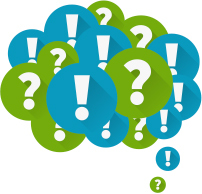 A totally FREE powerful Customer Management Tool for all pool & spa pros. You can access Pleatco poolmate online or via the mobile app. A powerful, easy to use customer management tool that allows you to add contacts, log service call details, track jobs and set appointment reminders so you never miss a beat! We are proud to introduce our FREE V3.0 smart application for your mobile device. Now you can have instant information in the field and on call. Includes the Pleatco Poolmate customer management tool. Download FREE today from our website or major App stores. At Pleatco we are truly one big family. Team Pleatco is comprised of senior Management right through the ranks to new junior trainees. The team is made up of an amazing array of cultures representing the USA, Australia, Puerto Rico, India, Russia, South Africa and... Texas. We run annually in the J.P. Morgan Corporate Challenge and enjoy supporting various charities and events to help our community and bond our workplace family. Welcome. With honest, informative insights, our blog aims to spotlight new technology and the science of filtration as well as provide points of view on industry and environmental issues. This blog written and edited by our top engineering and management teams with a goal to present objective, thoughtful content that is un-bias,100% factual and third party validated. One of the best ways check out our filtration products, discuss your ideas and get first hand advice for our highly knowledgeable team is to visit us at one of the many shows that we exhibit at. Check out where we are going to be in 2015 and feel free to contact us and set up a time to come and have a personal tour and visit. Check out our latest news and press release archives as well as press and editorial coverage. At Pleatco we are proud to support the major industry publications both in the USA and internationally. A scientific approach dramatically simplifying filter cartridge cleaning. 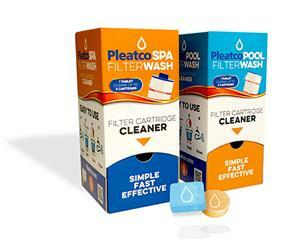 Glen Cove, NY – September 6, 2016 - Pleatco, LLC, a leader in pool and spa filtration products has introduced Pleatco FilterWash™, a new fast acting fizz cleaning tablet specially formulated to penetrate deeply into any reusable filter cartridge and remove the accumulated materials such as suntan lotion, and oils, grease, dirt, soap scum and other organics. Unlike other cleaning agents, Pleatco FilterWash™ comes in individual formulas - one for pools and one for spas, scientifically engineered for each environment. Pleatco FilterWash™ is environmentally friendly and requires NO measuring and NO messy chemicals. Unlike most cleaners that are a chemical spray- on solution, Pleatco FilterWash™ is a fizz tablet that is placed in a bucket of water and soaks the cartridge in the dirt releasing solution. After a short time, the cartridge can be safely removed and given a spray with the hose to clean off any excess debris. It’s an incredibly safe, simple and environmentally friendly solution. “The advantage of our formulas are two separate cleaning solutions specifically engineered for pool cartridges and for spa cartridges. The different environments collect different types of debris and oils and we have optimized Pleatco FilterWash™ for each case” say Richard Medina, SVP Engineering Pleatco. “And to clean up you can simply dispose of the solution without harm, and that’s a major plus nowadays”. Each Pleatco FilterWash™ tablet cleans up to two filter cartridges and works by loosening debris from the filtration fabric simply and effectively while being safe and easy on the cartridge. This thorough cleaning allows cartridges to return to a high level of original performance without harming the filter. Pleatco FilterWash™ has a dedicated website – www.pleatcofilterwash.com. To honestly be a part of a community you have to actively participate and occasionally strut your stuff. One thing we pride ourselves on at Pleatco is thinking outside of the box. We like to not only lead in technology but also participate in our industry and have some fun. One truly unique Pleatco moment was when, with the help of the Hanley Wood Event team, we staged a major flash mob happening at the 2010 National Pool & Spa Expo in Las Vegas. To all of those who participated and enjoyed this experience - we thank you. We hope you have a great experience with Pleatco. We take your comments and recommendations very seriously and incorporated the input an integral part of our ongoing process to improve our products and services. We look forward to playing a supportive role in the teams development and quest to compete in the Olympic Games, Tokyo 2020.